Cross stitch embroidery kit themed “Woman in the Garden” after Monet’s painting, dimensions 40x30cm. Complete cross stitch embroidery kit including threads (wool/acrylic) in 30 colours, needle, cotton canvas Zweigart 14ct. white AIDA, printed chart and instructions in six languages. 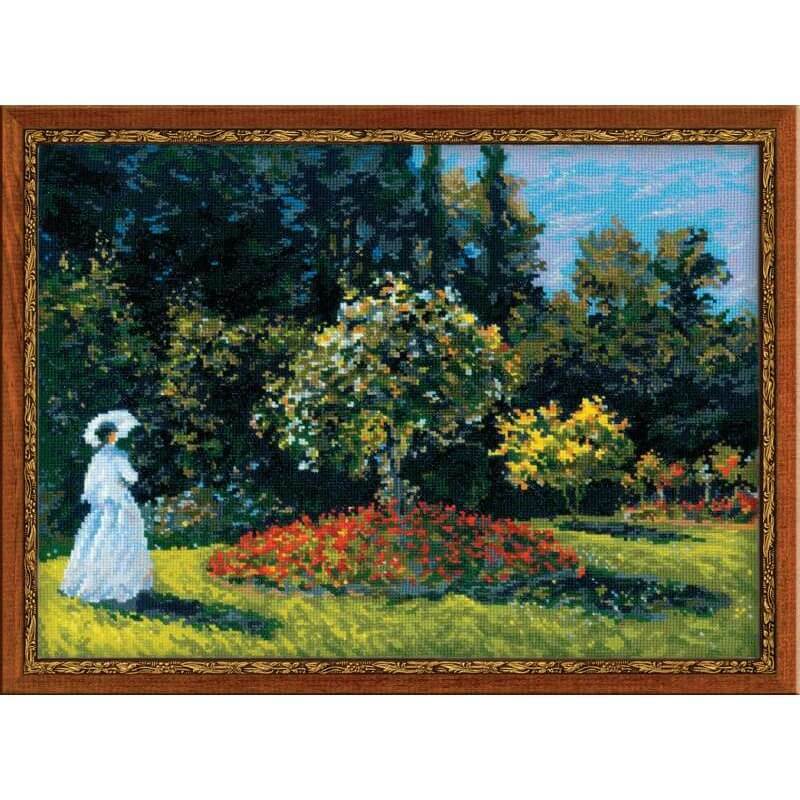 Woman in the Garden after Monet’s Painting – 1225 – Full embroidery cross stitch kit.